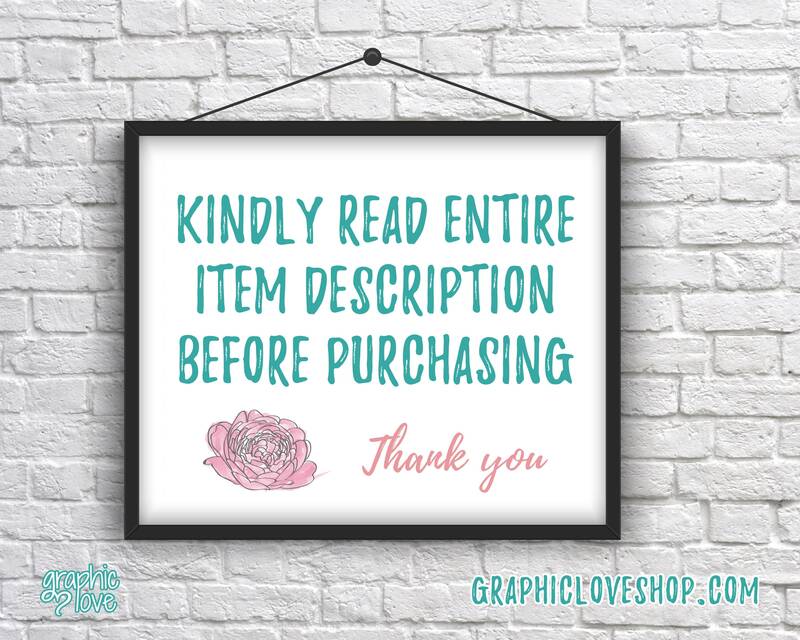 DIGITAL FILE ONLY NO PHYSICAL ITEM WILL BE SHIPPED - File NOT editable. There will not be a watermark on your file. 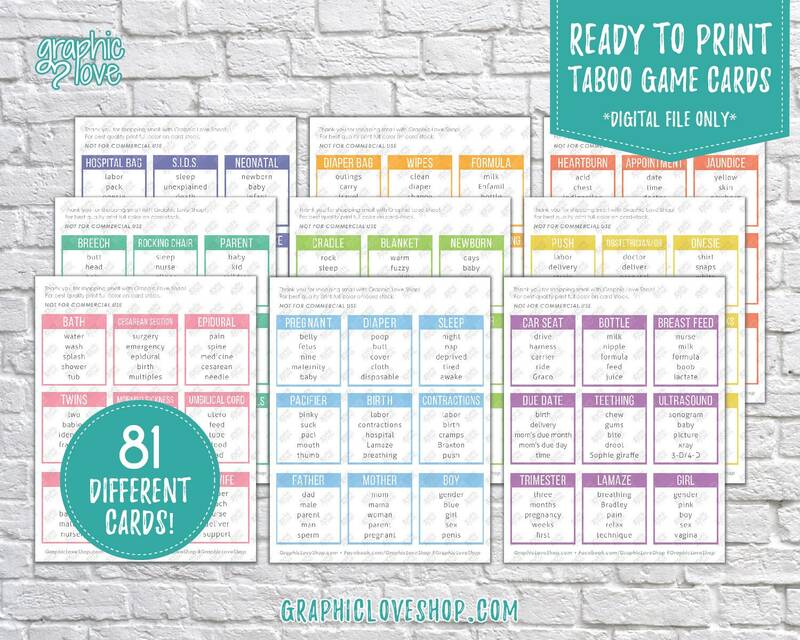 There are a total of 81 different taboo cards on 9 pages in the colors shown. (If you would like the cards a different color please message me, there is a small fee for edits) You can print from home or take the file to a printer. Cut them apart and you are ready to play. 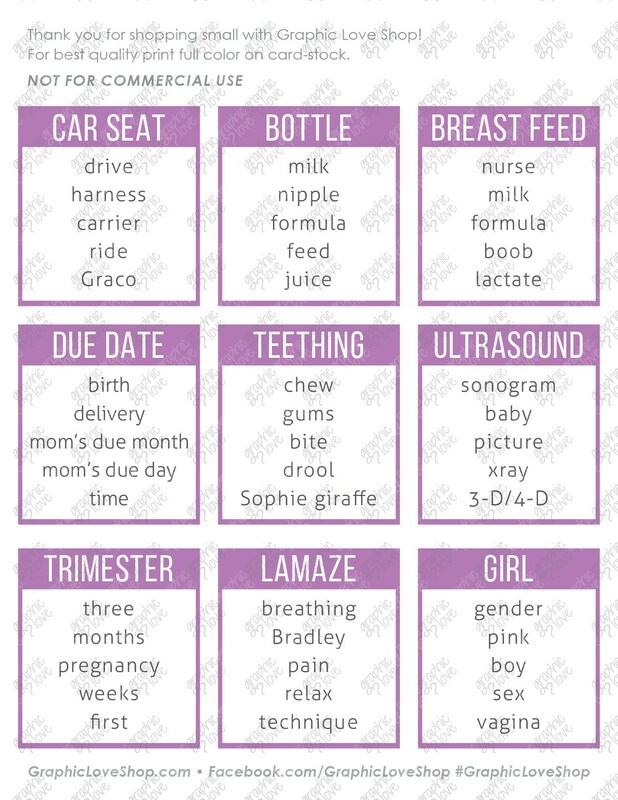 Use these cards at your baby shower for some extra fun. Perfect for all ages! Printing on cardstock or laminating cards is recommended. Simply download, save and print. You can then either print from home or take to a printer of your choice. After finally getting it from my email to have it printed it came out good and this fame was a big hit.